If you love coordinating projects and staging events, being a bridal consultant could be a great match for you. Bridal consultants are also sometimes called wedding planners or wedding consultants. Bridal consultants have saved many brides and grooms from disappointment on their wedding day by working out conflicts and overlooked details. Consultants typically are self-employed and charge either a flat fee to plan a wedding or a percentage of the total cost. However, some bridal consultants work in retail settings, where they help brides and attendants find the perfect gowns and accessories. If you choose this path, you might work on commission or receive a salary or a combination of a base salary plus commission. According to the Association of Bridal Consultants (ABC) , business is booming for bridal consultants. In the United States, business related to weddings represents a $165 billion industry. There are around 2.4 million weddings each year. With busy schedules and lots of stress related to budgets, more and more brides are turning to bridal consults to help save them time and money. 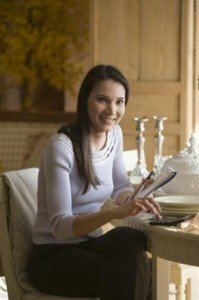 The Bureau of Labor Statistics (BLS) considers bridal consultants event planners. BLS projects job growth of 44 percent for planners between 2010 and 2020, a rate that’s much higher than average. If you’re interesting in becoming a bridal consultant, realize that while planning a wedding, you’ll be a very busy person. According to eHow, in addition to meeting with a couple and their respective families to plan an overview of the wedding and associated events, you’ll need to oversee a range of activities. You might set up gift registries, help select and order invitations and announcements, negotiate hotel accommodations and arrange transportation. You’ll probably also select potential sites for the ceremony, the rehearsal dinner and the reception. Consultants provide the couple with choices of caterers, bakers, photographers, musicians and even bridal shops. You might oversee details of the honeymoon. On the day of the wedding, expect to help everyone in the wedding party with any issues related to attire. In order to be a successful wedding planner, you’ll need patience, creativity, communications skills, the ability to weather stress and proficiency at juggling multiple projects. The ability to handle hundreds of details and stay organized is crucial. Should you open your own business, you’ll need skills in budgeting, record keeping and perhaps even managing employees as your business grows. If you opt to become a bridal consultant in a retail setting, you’ll normally have a background in sales. Many large retailers offer training programs focused on the wedding industry to those with a retail background. For those who want to be self-employed, the necessary education in event planning and the wedding business is available at community colleges or trade schools and through online training. Both the ABC and the Association of Certified Professional Wedding Consultants (ACPWC) offer training programs that can equip you for this career. If this line of work is appealing, consider trying it out by working as an intern with an established bridal consultant for one or more weddings. Having a high school diploma or a GED is important to enter this profession. Once you’ve completed basic courses on event planning and the wedding industry, you can consider becoming a certified consultant by earning certifications offered by ABC, ACPWC and other organizations. After getting business cards, you’ll need to visit prospective vendors and ask everybody you know for referrals to brides looking for help. You’ll need to smile through many rejections before landing your first contract. Due to the rapid growth of the wedding industry and of the bridal consultant field, you should find many opportunities if you choose to enter this fast-paced career.